Um, hello, what a compelling blog post name!! Hi there-I'll definitely have the PS1 bag and Balmain boots please!! Hope you're well my dear! 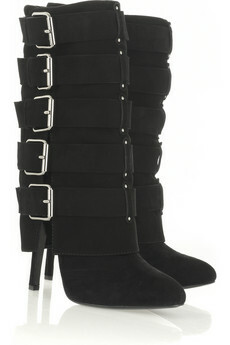 I love the Balmain boots lots!WendyB, there's no jewellery becasue they don't stock you on Net A Porter, of course! Ohhhhhhhh, that Alberta Feretti is so dreamy! yes yes yes balmain bootsxx-LJ from SOS! I'm loving method number one (; And I'm not sure what I won yet, Slyvain says the package is on its way over to me ! I'll let you know on my blog as soon as I get it!Do enter my Current/Elliott jeans giveaway here (http://lacouturiernyc.wordpress.com/2009/07/25/a-one-year-celebration-giveaway/. Simply write your own "petite novella" (or short fashion fiction) about the outfit you/a character would wear incorporating those jeans & leave it in the comments! 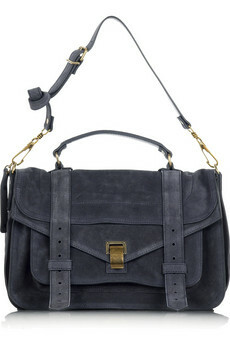 Have fun, be creative – you have a week!bisous,La C.
If i could i would go for the balmain and the proenza schouler. Ladies, if were talking about a hypothetical shop, I could spend millions on shiny sparkly jewellery!Wendy, the things I want from your store are more than a months salary sadly! Balmain boots are my first pick!!! 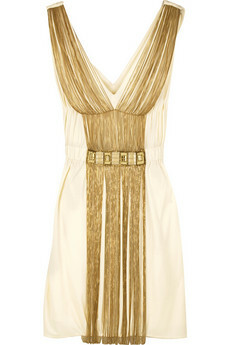 Love the Alberta Feretti dress.! !